Who can benefit from Continuing Education? Learn how ongoing training can improve you and your employees. opportunity for her team to receive free training, awebinar or other professional development opportunity. “To some people, that’s busy work, but you won’t catch an opportunity if you’re not constantly learning what people are putting out there,” she says. employee is on the job and falls into his or her regular routine? Business experts agree that opportunities for professional development or continuing education are beneficial not only to the employee but also the business owner. performance, says Seidelman, who is the assistant executive director. “A lot of the professional development we use is to make people better at what they do,” she says. Here are three things to consider about continuing education and professional development in the workplace. 1. Who needs continuing education? which is headquartered in Waukee. 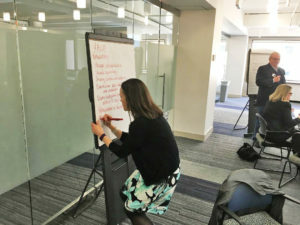 On the left, Seidelman writes notes during a team training. The short answer is everyone, from the owner to the newest hire. 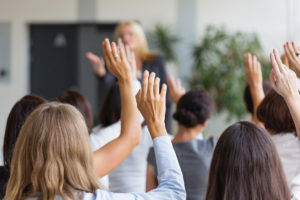 And education doesn’t just help the employee; it benefits the employer, as well,according to Training magazine, a professional development resource. Continuing education allows a business owner or his or her employees the opportunity to further advance their knowledge, which can be vital to the growth and success of the business. Giving employees an opportunity to learn more also has been shown to increase their engagement and interest in their employer, business experts say. Companies that offer continuing education are able to attract and retain more talented individuals and have the methods in place to create their own pipeline of skilled workers who can advance if a position becomes available. Some industries will mandate employees spend a specific number of hours continuing their education or learning more in order to maintain a license or certification, for either the individual or the business. orientation. The center requires its employees to complete an additional four hours of continuing education, Owner/Director Jarrid Byr says. Byr says continuing education is beneficial to the center’s 42 employees because it can help them improve in areas where they may have weaknesses. “We let them know this is an area they need to focus on during performance reviews, and then we help them at the point of time find the training they need,” he says. The Human Services Department provides information about trainings that are related to discipline, classroom management, teaching skills and personal development such as teacher burnout and how to handle job stress. Some trainings are online or through webinars; others are in-person trainings. Most of the Full Circle employees prefer online trainings, so they can complete them on their own time at their own pace, Byr says. “There are certainly thousands of trainings out there that are approved they can go to,” he says. Engineers at KCL Engineering in West Des Moines are requested to complete 30 hours of continuing education every two years to retain their licensure. The company pays for all relevant trainings and tries to find a variety of continuing education opportunities for its employees that allow them to be outside of the office, Julie Eliason, the company’s marketing director, says. employees who work in drawing software have been given the opportunity to attend a conference in Las Vegas. 2. What options are available? Jarrid Byr is the owner/director of Full Circle Child Development Center in Waukee. He provides his employees with as many continuing education opportunities as possible — some are mandated by the Iowa Department of Human Services — because he believes it benefits his employees as people and as teachers. A first step to offering continuing education would be to determine what employees want to learn: Are there specific skills they need to better perform their job? Would they like to have an advanced degree? Do they struggle in a particular area? • Utilize local higher-education institutions. The school may have specific continuing education programs for small-business owners. 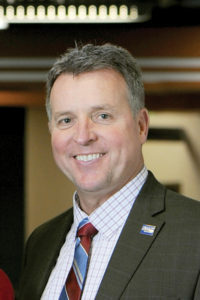 For example, many of the non-credit certificate programs at Des Moines Area Community College are created based on requests from business owners, says Mike Hoffman, the executive director of continuing education for DMACC. Other business owners may not have the necessary basic skills to operate a business. DMACC offers a variety of continuing education programs for business owners and their employees. Most DMACC courses range in cost from less than $100 to more than $1,000. information about how to improve their business practices or learn about marketing, tools and templates that can help their business, says Julie Bundy, DMACC’s coordinator of continuing education. 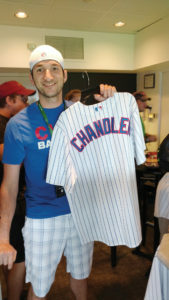 A KCL Engineering employee poses with a Chicago Cubs jersey while at Wrigley Field in Chicago for a training hosted by one of the company’s vendors. accounting and business administration courses. introduction to management, how to have difficult conversations, and other issues a business leader may face. Bundy says this course would be good for a business owner/manager or for certain employees who may have specific development needs. workplace, offers memberships and certificate programs. 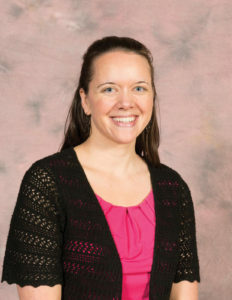 Seidelman formerly worked in the West Des Moines City Manager’s office, so she’s used contacts she had while there to create additional training resources for her team at National Speech and Debate. She’s also discovered that some organizations or other businesses might offer free training in exchange for an in-kind trade or a switch of expertise. • Rely on employees to share their expertise. National Speech and Debate has many employees in their 20s who have expressed a desire to learn more. Seidelman says employees can often be an organization’s best source for information. reimbursement, as well as information about any limit on classes, maximum reimbursement, and requirements about when the employee must take classes. 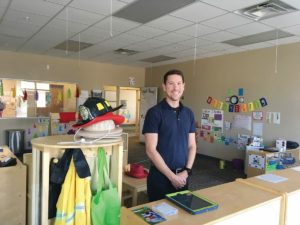 Full Circle Child Development Center has a partnership with the Iowa Association for the Education of Young Children in which 90 percent of an employee’s schooling for a degree is paid for by a grant. The degree must focus on teaching or early childhood education. In the seven years the center has been open, Byr says three employees have taken advantage of the partnership. • Check out free online resources. YouTube videos can provide learning opportunities for business owners in some areas. Owners and their employees also can utilize free online courses through the U.S. Small Business Administration. • Network with other business leaders and business groups. There may also be free seminars or guest speakers. If the business owner belongs to a local chamber of commerce, the chamber might host webinars or other learning sessions. • Develop good relationships with vendors. Seidelman says her group utilizes its relationship with program vendors who often provide a free webinar or training on their programs and tools, which also often includes additional information such as how to work more efficiently. • Read the fine print. Seidelman takes a few minutes to scan through most emails and e-newsletters she receives to see if the organization is providing any free training, webinars or other professional development opportunities. Her organization’s employees have taken advantage of numerous trainings this way. software training and much more. “We’ll use those depending upon a particular employee’s need or desire to learn,” Seidelman says. • Support extra-curricular memberships and outside-of-office activities. Eliason, the marketing director of KCL, served as board president of the West Des Moines Chamber of Commerce. Her company was extremely supportive of the time she devoted to the group. She oversaw the construction of a new tenant space for the Chamber and led the Chamber’s chief executive officer’s hiring process. A business owner doesn’t have to have a huge budget allocation to provide professional development or continuing education for his or her employees. 3. How will this benefit my business? Full Circle Child Development Center requires its employees to obtain additional continuing education hours beyond what state government mandates because it wants its teachers to be the best they can, Byr says. its employees’ time to complete trainings, as well as the cost of the training. Once the employee has his or her 10 hours completed, Byr requires them to seek advance approval for additional trainings. Byr believes a strong team also is a good way to provide education to the entire group. His team meets two times a month to discuss happenings within the center, licensing and anything else that may be going on that other employees need to know. KCL Engineering competes in an industry that always has new technologies, codes and government mandates, so employees have to keep up to date in order to provide clients with the best information, according to the company.